A DBA permits a business owner to conduct business under a specific name. This is the standard type of filing for a sole proprietorship or a general partnership. A Corporation or LLC file a DBA when the company wants to conduct business under a different name than the Corporation or LLC. To form a corporation articles of incorporation must be filed with the state. To file an LLC articles of organization are registered with the state. There are advantages to forming a Corporation or LLC. 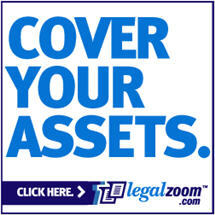 The owner has some protection for their personal assets. There are some tax advantages to forming one of these business entities. There is a higher likelihood of recognition and trust from customers and employees. Finally it is much easier to raise capital from investors as a Corporation or LLC. Comparing the DBA, Corporation and LLC there are some similarities and differences. A DBA or sole proprietor has unlimited liability and takes sole responsibility for all aspects of the business. For Corporations shareholders are not required to pay off company debts. In the LLC members assume no liability for any debts incurred by the LLC. The sole prop/DBA does not have to form any management hierarchy per law. Corporations must have a board of directors, release an annual report and hold annual meetings. The LLC also has some mandatory requirements but they are not as restrictive as a corporation. The sole proprietor/DBA has complete control over the whole business and makes all management decisions. Corporations are managed by directors that are chosen by the company’s shareholders. The LLC has an operating agreement that determines who will manage the company. The taxes for a sole proprietor are paid by the business owner as the business income is filed under the business owner’s personal taxes. A Corporation is taxed at the corporate level, only dividends if distributed to the shareholder are taxed. The shareholders are responsible for paying the dividend taxes. The LLC does not pay taxes. Instead the income or the loss is shared by the members and passes through their individual tax returns. When a sole proprietor/DBA is trying to raise money for the business it often comes down to loans from friends or possible a small business loan from a bank. A Corporation can sell interest in its company, called stock, to raise funds. An LLC can sell interests in the company if the operating agreement permits the practice.